Uneasy traveler? Try this all-natural solution, using valerian and St. John's Wort in treat form. It's not uncommon for pets to dislike traveling. 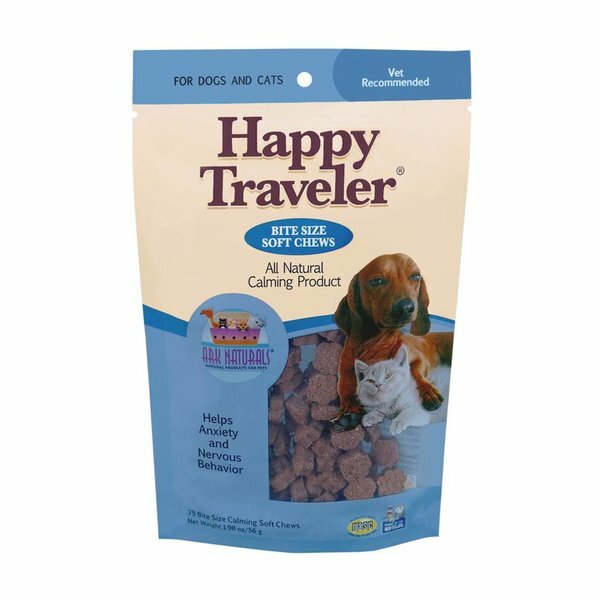 That's why Ark Naturals® set out to develop Happy Traveler® All Natural Calming Product for dogs and cats who would rather sit at home in their favorite spot than hop willingly into the car for a three-hour road trip. Made in the USA with natural ingredients like valerian, L-tryptophan and St. John's wort. Recommended For: Pets with occasional bouts of anxiety, motion sickness, nervous behavior, unfamiliar surroundings, inappropriate aggressive behavior, thunderstorms, fireworks. 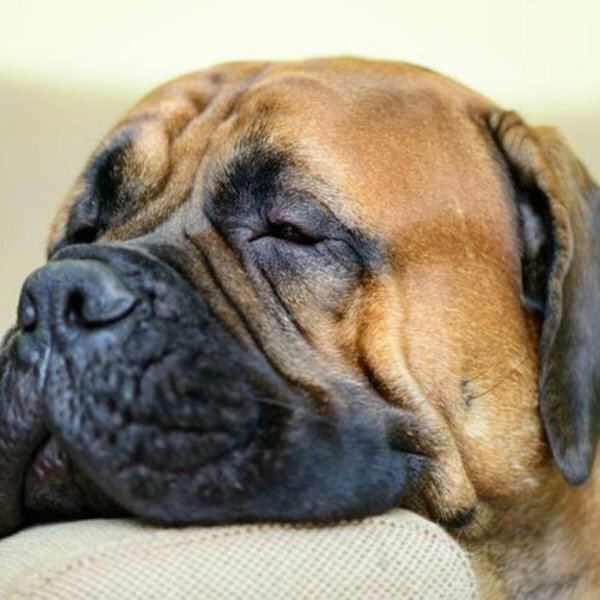 100 lbs and over begin with 7 - use additional soft chews as needed. Happy Traveler® is helpful for about 4-6 hours, if necessary & after that time, recommended initial dosage may be repeated. Warnings: For animal use only. Keep out of reach of children and animals. In case of accidental overdose, consult a health professional immediately. Cautions: For pet use only. For cats and dogs 12 weeks and older. Safe use in pregnant animals or animals intended for breeding has not been proven. Consult your veterinarian before administering Happy Traveler for pets currently being treated for seizures, brain tumors, convulsions.